The complex thalloid liverwort Monocarpus sphaerocarpus has been found on two continents, Australia and Africa, separated by around 8,000 km of mostly ocean. 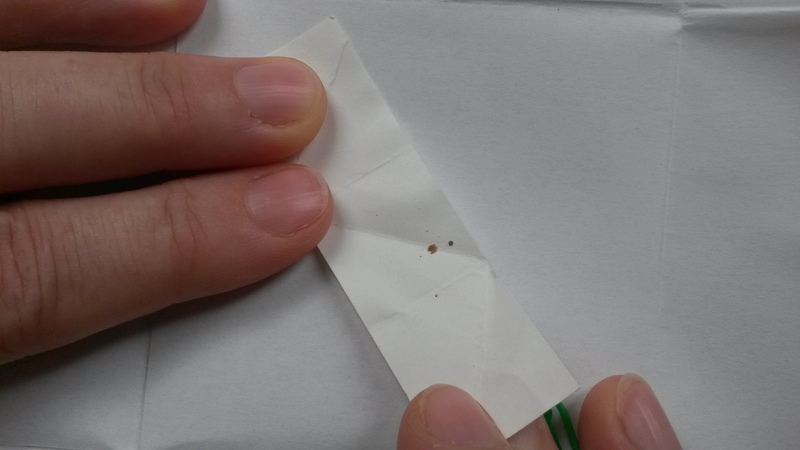 The green plants themselves are not particularly easy to compare, as the plants are small and the material that we have to work with has been squashed down and dried to form crumbly herbarium specimens. However, there are differences between the morphological descriptions of plants growing in Australia (Carr 1956; Proskauer 1961) and South Africa (Perold 1999). The characteristics of the plant’s spores are rather easier to observe (using scanning electron microscopy); this shows that spores from collections from Australia and South Africa are quite distinct – although there are also differences between spores from plants from Western Australia and Victoria. From Forrest et al. Fig. 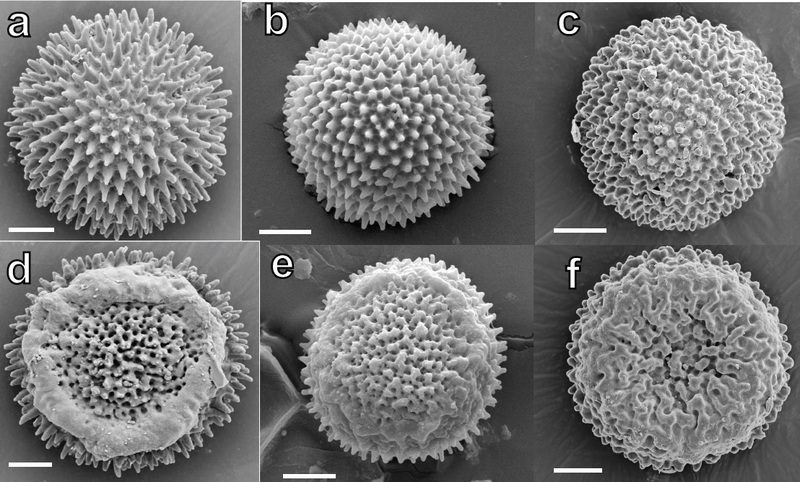 4: Scanning electron micrographs of Monocarpus spores: a,d: Victoria, Australia, b,e: Western Australia, c,f: Cape Province, South Africa. Although the distances between the three regions in which Monocarpus has been found are huge, it is possible that populations of Monocarpus are more widespread than we might expect. Dust storms could lift spores into the atmosphere, and the dark coloration of the spores suggests some ultraviolet resistance. Proskauer (1961) was able to grow sporelings from four-year-old herbarium collections, showing that they can survive drying out, so may be able to travel a long way in the air currents. However, we would expect genetic isolation over the thousands of kilometres that separate the known populations of these plants. Given both factors – that there are morphological differences between the plants, and that we expect there to be genetic isolation – we have considered naming the South African material as a separate species, after South African bryologist Sarie Perold, whose publication “Studies in the Sphaerocarpales (Hepaticae) from southern Africa. 1. The genus Monocarpus and its only member, M. sphaerocarpus” is a meticulously detailed piece of work. Unless the plant is rediscovered in South Africa, further study of the taxon there is impossible, given the size and fragility of the dust-like remaining specimen (shown in its entirity in the photograph above), as is molecular work to look for genetic differences between Australian and South African material. It would be unfortunate, though, if the eradication of its only known site caused the extinction of a distinct South African species even prior to its formal description, which in itself is rendered impractical by the loss of nearly all of the existing plant material. Proskauer J (1961) On Carrpos I. Phytomorphology 11, 359-378.